Are you trying to track online mentions of keywords you're interested in (for e.g your brand name)? You can set this up in Ahrefs Alerts, and receive them in your inbox at the frequency you desire. In the "Search query" field, enter the keyword you wish to receive mentions of (for e.g ahrefs). In "Mode", select whether you want Alerts to find these keywords in the title of the post, in the content of the post or both. In "Language", select your desired language. In "Recipients", add the email addresses you wish for the Alerts to be sent to (separated by commas). In "Intervals", select your desired frequency. You can choose from Real-time (as and when the mention happens), Daily (a daily report), Weekly (a weekly report). Then, finalize your Alert by clicking "Add". 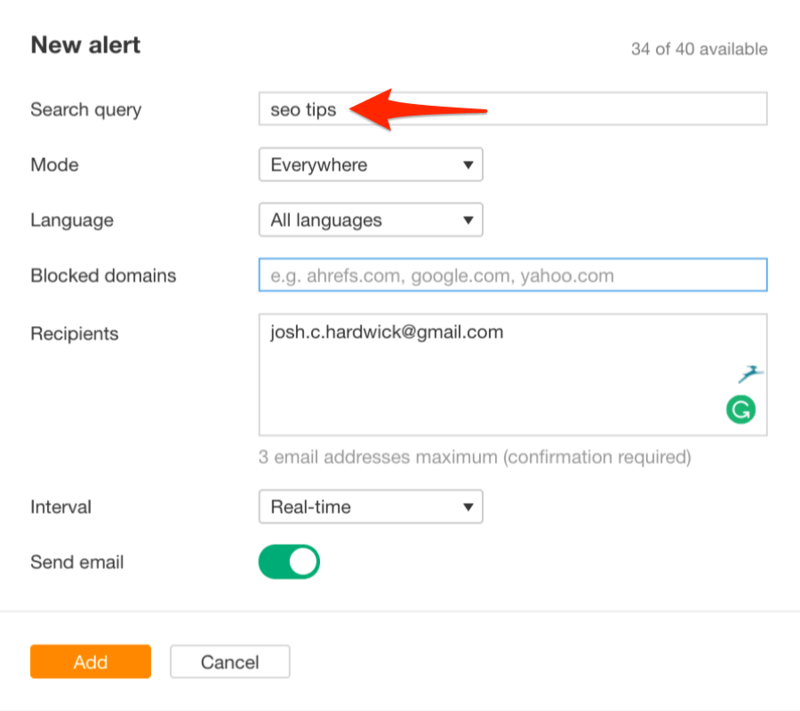 Pro-Tip: You can use Advanced Search Operators in Alerts. 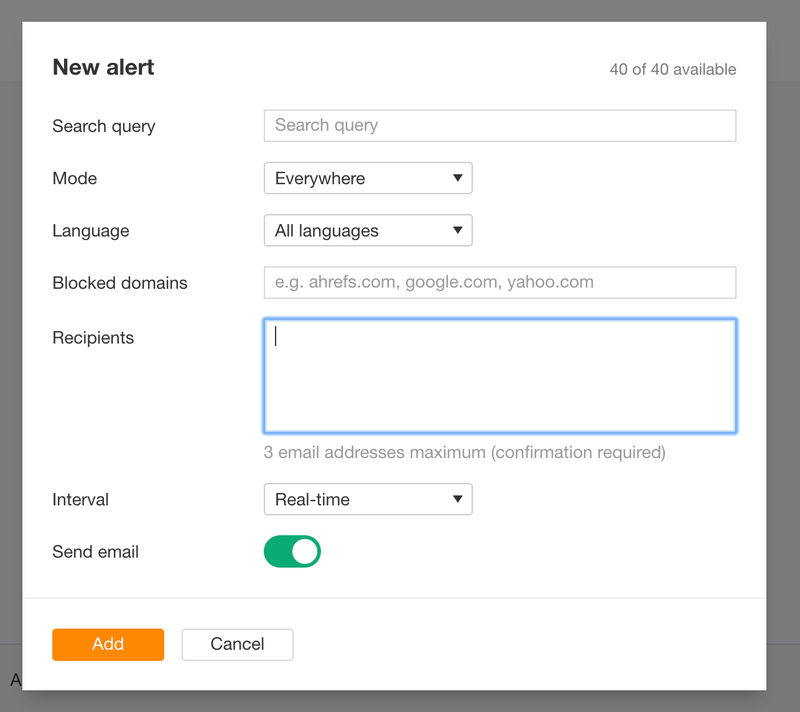 You can use advanced search operators to customize and configure your Alerts. For example, you can use the OR operator to set up a single alert for your brand name AND common misspellings. You could even do the same for multiple branded products—iMac, iPad, iPhone, Macintosh, Apple Watch, etc. How do I change the frequency/recipients or disable Ahrefs email alerts?